« Talk health tax with your MLA’s! 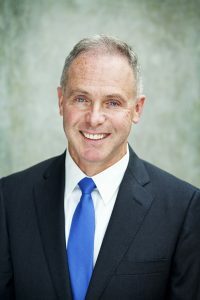 Mark Collins is a long time marine executive, having held leadership positions with BC Ferries for 11 years before becoming President & CEO. He was BC Ferries’ Vice President, Engineering from 2004-2012 and Vice President, Strategic Planning & Community Engagement from 2014-2017. His 35 years of marine experience also includes being President of Rolls Royce Marine Brazil and Rolls Royce Marine Italy, as well as several years in marine engineering on oil tankers, bulk carriers and container vessels. Mark has a Master of Business Administration (MBA) in Transport and Logistics from the University of British Columbia, a Bachelor of Arts in Marine Geography from Saint Mary’s University and a Diploma of Mechanical (Marine) Engineering from Memorial University of Newfoundland. Born on the ferry dependent island of Newfoundland, Mark understands the importance of a reliable ferry service to people’s lives, and to the social and economic health of B.C.’s coastal communities. Mark’s vision is BC Ferries as a future-oriented enterprise that is trusted and valued by communities and customers. 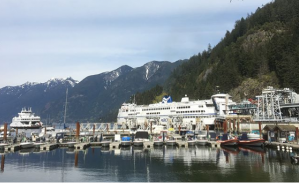 Under Mark’s leadership, BC Ferries is moving to connect communities and customers to the people and places that are important in their lives. Join us for this special Luncheon and hear how our coastal ferry services is evolving and connecting our communities.